According to Dominic Dagbanja, investigative journalism undertaken on behalf of the public is an essential component in the performance of the watch dog duty of the press by bringing to light abuses by public officials, private companies and individuals. He however argues that investigative journalism also involves invasion of privacy since its aim is to disclose matters that people would otherwise not know. Dagbanja further points out that investigative journalism may interfere with and damage the workings of institutions subject to investigations and subvert the aims of organisations where some secrecy is important. At this moment, Ghana is also busy having its own debate about the role of investigative journalism in its media space. 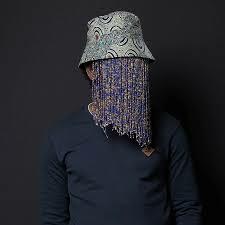 This debate is against the backdrop that Anas Aremeyaw Anas is scheduled to screen a documentary about the dirt and corruption in football administration in Ghana. The Ghanaian debate has brought to the fore a number of issues such as the legality of entrapments, the ethics and morality behind investigative journalism and of course questions around privacy, the planting of hidden cameras into private spaces and the interest of the public in knowing what happens behind the curtains. This piece is focused on the later – the tensions between privacy, unwelcome intrusions and the public’s interest. This piece will largely draw on the experience and judicial inputs from other countries to enrich and provide alternative lenses in order to enrich the discussions. But before the discussion of the case laws in which the works of investigative journalists have come up for scrutiny, I would examine briefly the position of Ghanaian law on privacy. Ghanaian law is clear. There is no absolute right to privacy. Article 18(2) of the 1992 constitution does two things. On the one hand, it guarantees the right of individuals to privacy in their homes, property, correspondence and communication. But there is a caveat. The constitution goes on to say that a person’s right to privacy may be interfered with legitimately if amongst other things it is necessary for public safety, or the economic well being of the country, or for the protection of health or morals and for the prevention of crime. 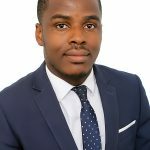 In the recent Supreme Court decision of Raphael Cubagee v Michael Yeboah Asare & 2 Ors, the Supreme Court declared the secret recording of a person as a breach of the constitution because the privacy breach could not be justified under any of the constitutional exceptions. Similarly, in the case of Abena Pokuaa Ackah v Agricultural Development Bank, the court declared the secret recording of the plaintiff as a breach of her fundamental human rights – obviously because it could not be justified under any of the constitutional exceptions. From the above, a private investigator who invades the privacy of others to expose rot and corruptions at different levels of society is clearly playing within the constitutional field. The English courts (and presumably the Ghanaian courts) are willing to uphold the legitimacy of an investigative piece which exposes crime and wrongdoing especially by persons holding public office. A classic example of this is the case of Yeo v Times Newspaper. The Claimant in this matter was a senior member of the British Parliament. The Defendant was the publisher of the Sunday Times Newspaper. By way of background, there had long been serious concerns about the role of lobby organizations in the British public space. Concerns were raised about whether parliamentarian’s performance of their functions might be influenced by their private interests. A number of reports and publications had identified Mr. Yeo as having close links with lobby groups. Two journalists from the Times newspaper, therefore, decided to get to the root of the matter. They posed as representatives of a solar energy company and offered him paid consultancy work. As part of the consultancy, the claimant was required to do some advocacy work for the solar energy company – an action which was in breach of the parliamentary code of conduct. The defendants met the claimant and they had a number of conversations in which the claimant essentially agreed to do their bidding. The defendant published a number of articles in the Sunday Times in print and online based on what its journalists found in their interaction with the claimant. The claimant sued for libel. The defendant relied on the defence of justification and fair comment. They also stated that the piece was an honest opinion and publication on a matter of public interest. The libel claim failed. The court held that the articles were substantially true in that the claimants had gone to meet with journalists for the purpose of discussing a paid consultancy he had shown himself interested in. The court also found that the defendant’s work was a reasonable journalistic investigation of considerable public interest which was undertaken in good faith and in accordance with the ethics of journalism. Last month – May 2018 – a Delhi High Court decided to bar the release of an investigative documentary about news outlets in India allegedly being willing to accept money in exchange for favourable coverage. The court issued an injunction forbidding the screening of Operation 136: Part II, a documentary that alleges that more than 24 media organizations were willing to publish advantageous stories for payment. But the Delhi case seems to be an outlier. In some of the cases reviewed, the public interest element was on the front burner of the court in determining whether to grant an injunction or not. In TV3 Network Services Limited v Fahey, TV3 Network broadcasted a story on their current affairs program alleging sexual impropriety and misconduct by Dr. Morgan Fahey. At that time, Fahey was a general medical practitioner and a candidate in a mayoral election. A former patient of Fahey, in collaboration with TV3, used a concealed camera to make a video recording of an appointment with him. during the appointment, the patient confronted Fahey about his alleged sexual misconduct against her as a patient 28 years ago. TV3 contacted Fahey and informed him of their intention to broadcast the video. Mr. Fahey sought an injunction against the screening of the investigative piece. The court refused his application. This cases can be contrasted with the case of Mosley v Times News Group Newspapers Limited. The Defendant Newspaper had exposed the Plaintiff’s involvement in what the newspaper captioned as a Nazi sexual act involving female prostitutes. The video was not obtained as a result of an investigative journalist. Rather it was one of the female prostitutes who took the footage and passed it on the defendant. The defendant later published it in the newspaper. The plaintiff argued that his privacy had been invaded. The defendant, in turn, argued that the newspaper’s right to freedom of expression should prevail due to the public interest in knowing that the plaintiff was involved in Nazi role-play. Even though the court was minded to grant him an injunction, the court did not because of the view that the matter was already in the public domain and an injunction will be futile. Investigative journalism may raise a number of eyebrows. But there is absolutely nothing wrong (no matter how intrusive) if its object is to bring to light corruption or any issues that border on public morality, public safety, economic well being of the nation, for the protection of health or morals, the prevention of crime or disorder or any of the constitutional exceptions to the right to privacy. A bloodhound is a large hound of a breed with a very keen sense of smell, used in tracking. Great write-up. However, i feel it would have even been greater had the writer examined our legal position on entrapment. Thanks, Joshua for making time to read. Your point is taken.